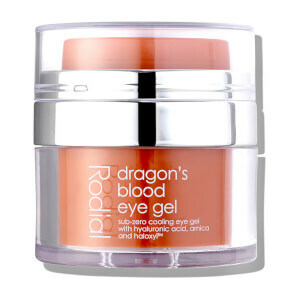 Rodial’s revolutionary dragon’s blood sculpting gel, an innovative anti-aging gel which helps to define facial contours and plump sagging skin. 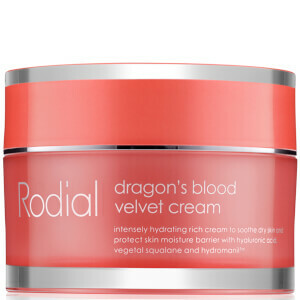 Rodial dragon’s blood works by forming a unique second skin-like film around the face which effectively protects, reduces redness & firms for a smoother, plumper & more youthful looking complexion. Dragon’s blood - contains phytotherapeutic actives that when applied creates a second skin-like film to protect against free radical damage and stimulates cell regeneration. Anti-inflammatory properties soothe and repair skin and reduce redness. Collageneer - a patented active ingredient that effectively increases the synthesis of collagen, ensuring skin appears tighter, firmer and more wrinkle-free by promoting the production of high quality collagen. Volufiline™ - increases fatty deposits within the skin to provide a fuller and plumper more line-free appearance. Commipheroline - renowned for its anti-inflammatory and immune-stimulant properties, a more line-free appearance is created through a plumping action, by modulating two key mechanisms that activate lipogenesis. Gently massage onto a cleansed face and neck allowing gel to absorb thoroughly. Use morning and evening following with Glamtox™ day or Glamtox™ night. 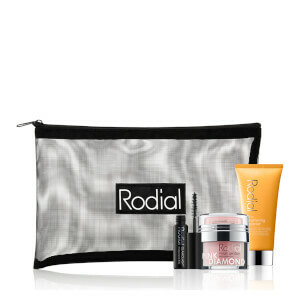 Having tried several excellent lines of skin care/anti-aging products from Skinstore over the past many years, my new love is the Rodial line. The initial sample of Dragon's Blood Sculpting Gel got me hooked, and I've since added the Hyaluronic Night Cream, Glamtox Night treatment, and Hyaluronic day cream. The offer of a .5 ounce sample of the Glamtox with the purchase of the 1-ounce full-size, plus the 20% discount, makes this an exceptional value. I am now 64, and people drop their jaws in disbelief when I reveal this. My skin is smooth, virtually wrinkle free, and clear of all but a few remaining sun discolorations. After cleansing with glycolic cleanser at night, I apply both the Glamtox and then the night cream; in morning, simply a swipe with a warm facecloth, then the sculting gel and day cream. My skin has never looked or felt smoother, softer, or healthier. I like this product. Tried because of the name and company... but like because it is a gel serum that does not feel like you are putting nothing on your face, or smothering it with product. No cream is a miracle cream, but this does what it says. My skin is smoother, clearer, fresher.